Preheat the oven to 180 degree Celsius. Prepare a tin by greasing it nicely. Dry Mixture- Sieve flour, salt and baking soda together to remove any lumps. Now add poppy seeds in it and mix well. You can also use black poppy seeds which according to me look more appealing, but this time I used white seeds as they were easily available. 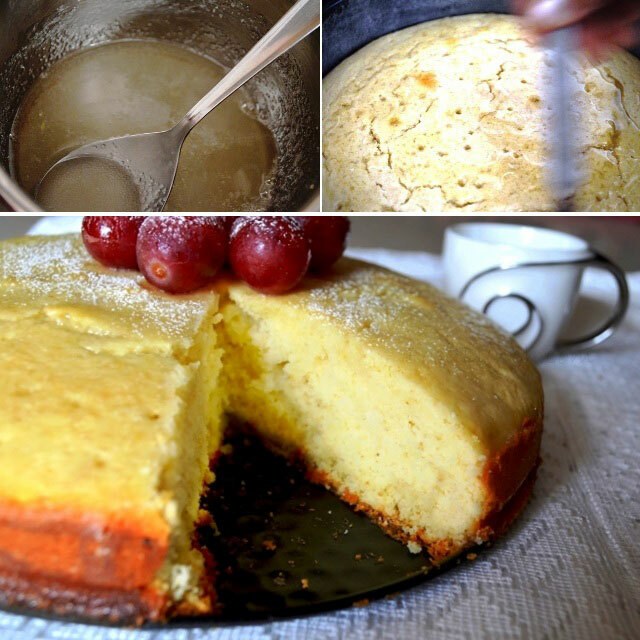 Wet Mixture- Beat sugar and butter together until soft. 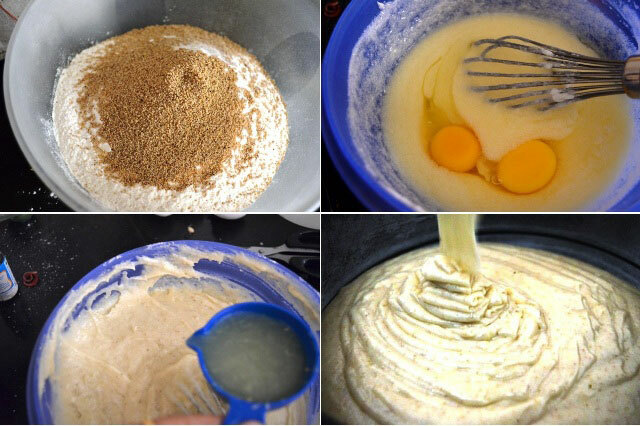 Now add eggs one by one and mix it well each time, you will see the batter will be little curdled. Cake mixture- Now start adding the dry mixture into the wet mixture. Divide the dry mixture into 3 parts. Add the dry mixture first part mix it well, then add half the lemon juice and mix well again. Now add second part of the dry mixture and mix well, alternately again add lemon juice. You will see the batter will be smooth at this stage. Now finish by adding the last part of dry mixture and the vanilla essence mix well to form a smooth batter. Now pour the batter into the prepared pan and bake in a preheated oven for 45-50 minutes or until the toothpick comes out clean. Do not keep in oven for longer time after the cake is cooked as this will make it very dry. Lemon frosting:- In a saucepan mix lemon juice and sugar at low heat until the sugar gets dissolved nicely. 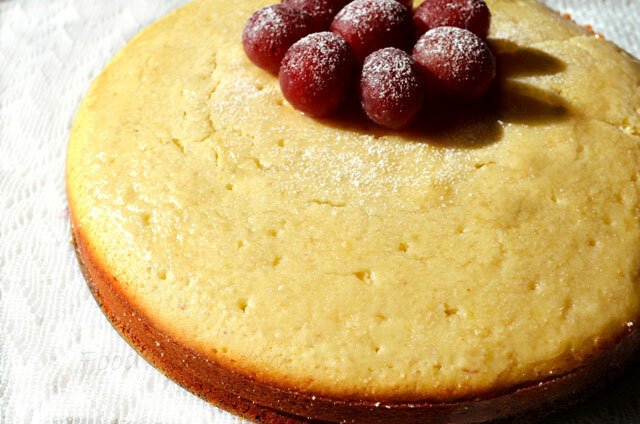 Make few holes in the prepared cake with a toothpick and pour the lemon frosting mix all over the surface. Let it cool on rack. Cut it and enjoy the amazing lemon flavour with tea. I find this recipe really interesting, use of poppy seeds in a pound cake is something I never tried before…..
Oh indeed the poppy seed is an interesting ingredient for cakes.. Do try and let us know :).